Omega Force, the developer behind the revered Dynasty Warriors series, has exploded onto the PlayStation Vita with their demon-hunting debut Toukiden: The Age of Demons. If putting together a group of friends to track down a towering demon and whack it with pointy things sounds like a good time to you, then chances are Toukiden will be right up your alley. While the story is rather tired and missions can feel repetitive, the game is a ton of fun, and there is a lot to like here. Toukiden tells the tale of a war between the demonic Oni and the Slayers—the last line of defense between humanity and oblivion. As is usually the case with such stories, you are defending the final bastion of mankind, and as usual, only you possess the power to turn the tide and save the world. While I appreciate the presence of any narrative at all—most hunter games don't go beyond "go to X place and kill Y thing"—the whole thing feels derivative. However, the story takes a backseat to demon hunting, which is good because the combat is a joy. When you create your (fully-customizable) character, you choose one of six weapon types, including the long sword, twin blades, gauntlets, spear, long bow, or chain and sickle. These weapons are at the center of Toukiden's battle system, as each one feels vastly different from the rest. For example, the long sword is all about balanced combos on the ground, while the dual blades focus on chaining aggressive aerial attacks. Changing your fighting style is as simple as creating and equipping the type that you desire, although I suggest that you complete the weapon tutorials to understand the intricacies of each instrument. Even further customization is available through the Mitama system. As the Oni rampaged across Japan, they devoured the souls of many heroes. By collecting these souls and socketing them into your weapons, your Slayer gains access to new skills and passive stat boosts, depending on which of 8 Mitama types you have equipped. You can level-up your Mitama by completing missions or by feeding them Haku, the game's currency. This adds a welcomed RPG flavor to Toukiden, and collecting a wide variety of fallen heroes' souls should scratch the itch of any compulsive collector. Without compelling monsters to slay, diverse weapon styles and character customization would be meaningless. Fortunately, Toukiden delivers in this regard. The small Oni look fine and are diverse enough, but as the game progresses, they become little more than a nuisance for an accomplished Slayer. However, the large Oni tower over the player and often fill the majority of the screen. It's clear that Omega Force put a great deal of effort into the Oni design, as they look fantastic. 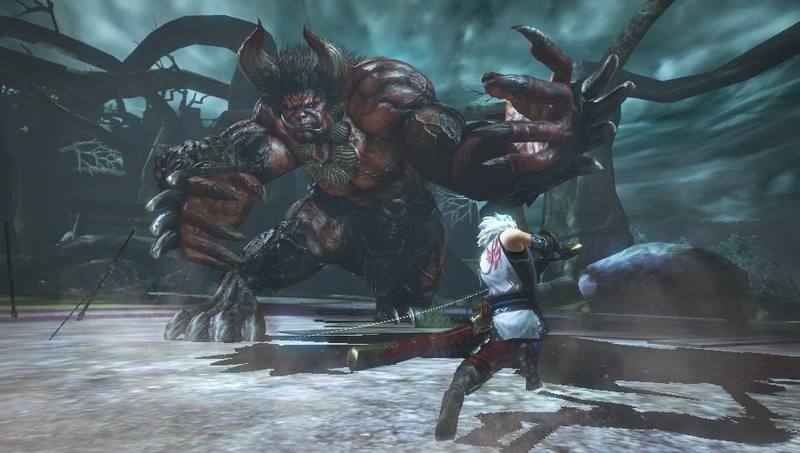 Combat against the large Oni is the highlight of Toukiden, as it's a blast and features some fresh and interesting gameplay mechanics, although I wish that the tutorial explained them in greater detail. The large Oni all have weak points—generally on their extremities—including their legs, arms, and wings. By focusing your attacks on one of these locations, you will eventually sever it from the Oni's body. Once this occurs, you can attack the Oni's "essence" underneath, which is the only way to do lasting damage. Battles with more powerful Oni can last anywhere from a couple of minutes to half an hour. 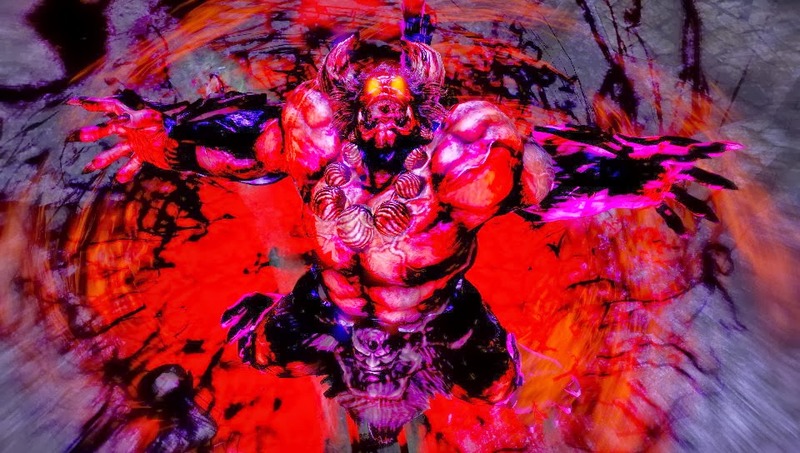 Much of Toukiden’s appeal comes from learning the behavior of new Oni and finally defeating them in a shower of severed limbs. Each mission is incredibly satisfying as you invariably bring home mountains of loot and materials for use in weapon and armor crafting at the blacksmith. Upgrades are frequent and plentiful, and each new piece of equipment is represented on your character in increasingly epic and outlandish designs. If you're playing alone, Toukiden is happy to provide you with reasonably intelligent AI-controlled companions for your demon hunting endeavors. However, if you want to play online, you're covered as well. 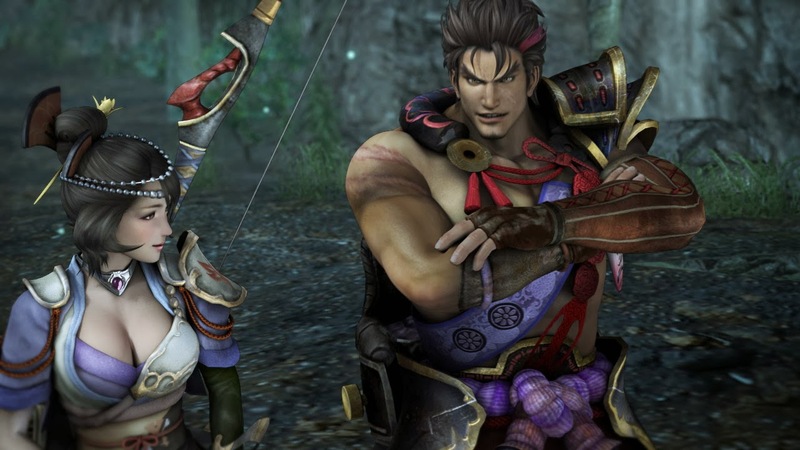 Toukiden allows you to join a group of up to four players to tackle missions in the main campaign. Overall, the systems works well, but I wish that there was some sort of drop-in multiplayer instead of forcing you into a waiting room. 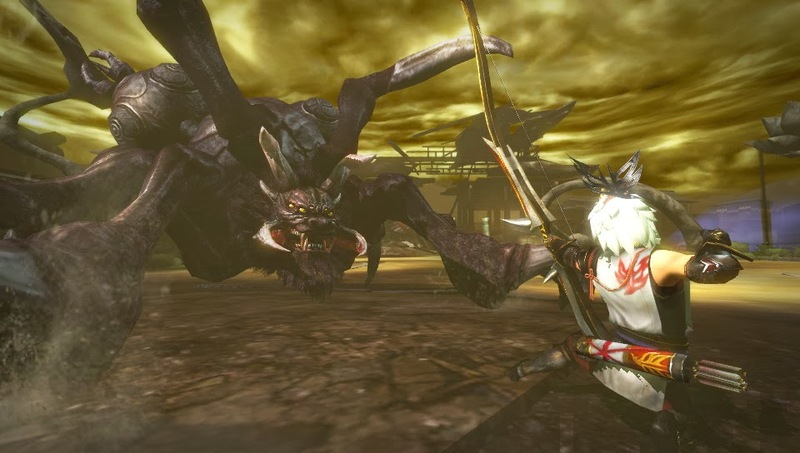 Hunting demons in Toukiden is certainly enjoyable, but it's not without fault. After a few hours with the game, repetition sets in—both in design and in mission structure. As you progress into Chapter 3 and beyond, your quests will send you after the same Oni up to half a dozen times. While the spider-like Manhunter is impressive and intimidating the first time around, his appearance loses some of its appeal after the fifth encounter. This applies to the small Oni as well; their character models are recycled and re-skinned into more challenging versions of the same monster. While not a huge gripe, as the existing Oni are sufficiently diverse and look amazing on the Vita, I can't help but wish for more. Even though the story is a bit lackluster, and the missions and monster designs can become a bit dull after repeat encounters, Toukiden is a pleasure to play. Taking down large Oni is a triumphant experience, and it always feels like your Slayer is growing stronger. The game shines even brighter when you're playing with friends. With dozens of hours of demon-slaying adventures to be had, Toukiden: The Age of Demons is an easy recommend. The hunter genre hasn't been able to find a huge following in the US. Let me know if you’re a fan in the comments!